Harry Potter, to sum it up quickly is: The Boy Who Lived. As an infant, he was witness to his parents’ murders at the hands of Lord Voldemort, the darkest wizard. Voldemort attempted to kill Harry. Harry, for a yet unknown reason, was able to deflect the curse and almost destroy Voldemort. And so begins the sprawling saga that spans seven books, one for each year that Harry Potter spends at Hogwarts School of Witchcraft and Wizardry. 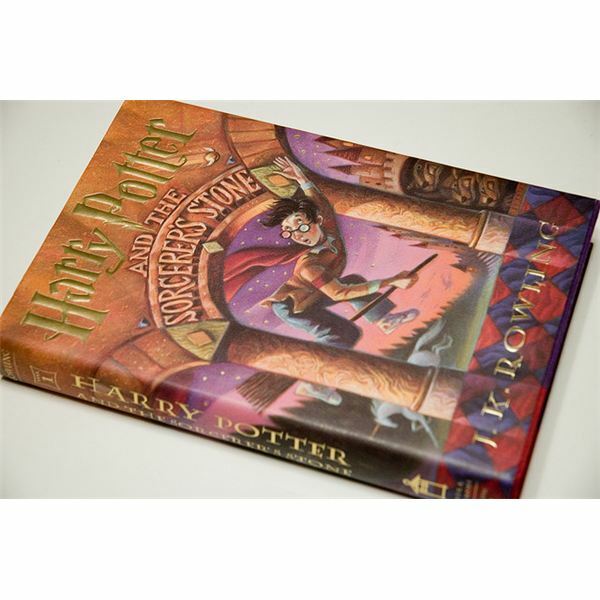 The series can be taught throughout school, starting the younger students on the first and second books, and as they grow and mature, assigning more books in the series in the upper grades. When Harry Potter first was released, there was a bit of a backlash that grew more heated as more and more books in the series became bestsellers. There were arguments that the books depicted evil, witchcraft and taught too much about magic. If this will be a fear or concern for the parents of your students, it is something you do need to address before distributing the books and undertaking the lessons. However, the books offer so much in terms of literary technique, that is indeed a shame for students not to be exposed to the wonders that are the adventures of Harry Potter and his friends Ron and Hermione. The PowerPoint for this first book and the ones beyond are not meant for chapter-by-chapter discussions. Instead, the purpose to examine characterization, theme, setting, important quotations, moral and ethical choices within the novel and to spark conversation amongst students. The names of the characters and some of the spells alone have the makings of some excellent word origin lessons. Harry Potter’s world is a world ripe with possibilities for an English teacher! Happy reading!